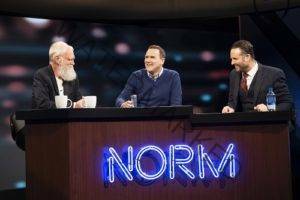 Norm Macdonald has a Show features host Norm Macdonald along with his trusty sidekick, Adam Eget, as they dive into hilarious and unexpected conversations with celebrity guests. The premiere season of the talk series welcomes Drew Barrymore, David Spade, Judge Judy, David Letterman, Jane Fonda, Chevy Chase, M. Night Shyamalan, Michael Keaton, Billy Joe Shaver and Lorne Michaels. If you like what read about Norm Macdonald Has A Show, please remember to share Netflix New Releases on Facebook, Twitter or wherever you guys want it’s all appreciated.